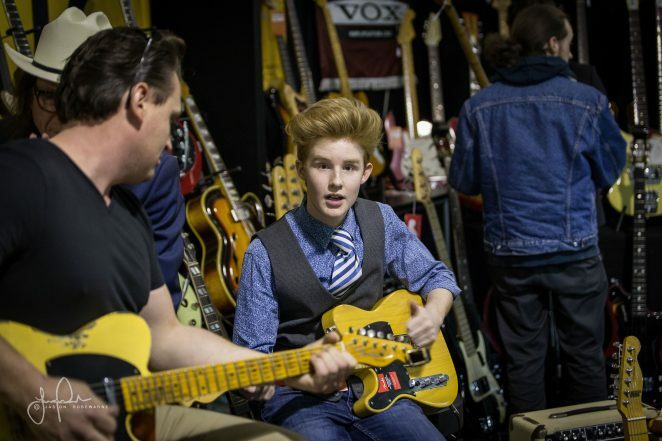 Charlie Bedford first came to our attention at the 2015 Melbourne Guitar Show when he was called to the stage for a jam by local blues great Lloyd Spiegel. 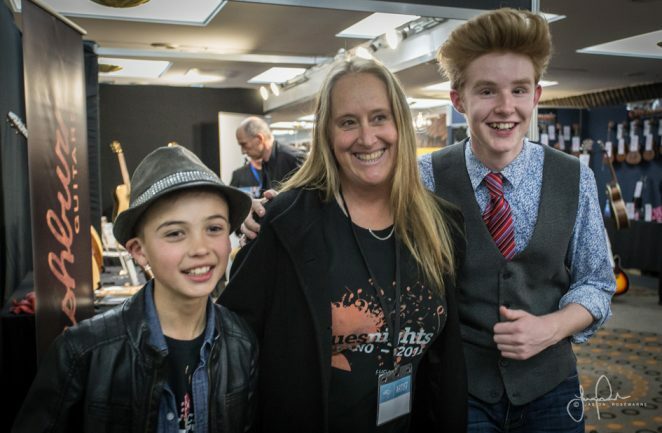 Charlie is a 17-year-old blues musician who performed at the “International Blues Challenge – Youth Showcase” in Memphis in 2017 with his band and returned as a solo artist in 2018” representing the Melbourne Blues Appreciation Society – MBAS. Charlie is planning to head back to Memphis & Nashville once again in January 2019. Charlie Bedford has now well and truly earned his stripes and he’s been invited to be part of the 2018 Melbourne Guitar Show Triple M Jam, along with Brett Garsed, Jack Jones (aka Irwin Thomas), James Ryan and Shannon Bourne. Ahead of his MGS appearance, Charlie was kind enough to answer a little Q&A for us. Favourite guitar brand & why? My favourite electric guitar brand would have to be Hagstrom. They’re a Swedish company and make really cool and fantastic quality guitars – I love them! My favourite acoustic guitar brand has definitely got to be Cole Clark, an Australian company who make their guitars about 15 minutes away from my house in Melbourne. They are absolutely brilliant sounding; they have the best plugged in sound out of all acoustics in my opinion. My most memorable music moment was definitely when my band received a standing ovation from a full house at Rum Boogie on Beale Street, during the 2017 “International Blues Challenge – Youth Show Case” in Memphis. It was my first time in America and was an exciting and truly humbling experience. Being on American breakfast TV with Little Steven from Bruce Springsteen’s E street band would be a real close number 2, as well as getting to spend a whole night recording in Sun Studios as another close number 3! Guitarists that inspired me to learn to play? Some of the guitarists who inspired me to play were my dad, B.B. King and all of the local jammers that went to my first open mic night when I was twelve. How many guitars do you own and which is your personal favourite? I own 10 guitars I think that’s the perfect number! I have two favourites My favourite electric is definitely my Hagstrom Viking. I’ve spent so many hours playing that guitar and I love it’s look and sound and my favourite acoustic has to be the Cole Clark Fat Lady 2. I’ve played so many shows with it and it’s an absolute workhorse! Oh! Tough question! I love both brands, the Gibson ES-335 style of guitar is my all time favourite electric guitar as well as some of the acoustics and arch tops, but I also really love the twang of a great Fender Telecaster and those sweet Stratocaster bell like tones too! Most underrated guitarist in music? Tough question again! I would say Eric Gales but he is starting to be noticed more and more as righty deserved. He is INCREDIBLE! I had the pleasure of meeting Eric in Memphis after his show, he’s a lovely guy & of course a fellow lefty!